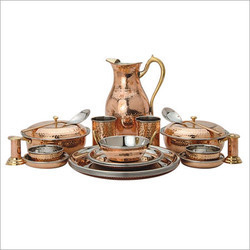 Prominent & Leading Exporter from New Delhi, we offer dinner set, stainless steel dinner set, deluxe steel dinnerware, steel dinnerware set, copper dinner set and deluxe copper dinnerware. 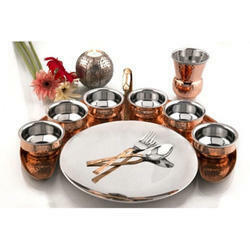 We are manufacture, supplier and exporter of Supreme Dinner Set. 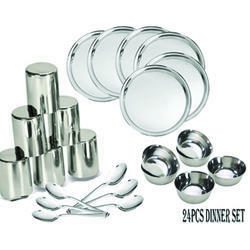 This is the best and the most superior we offer for the buyers with excellent mirror polish and finish. It contains all the things that is require. This is the most elegant and exclusive we offer. 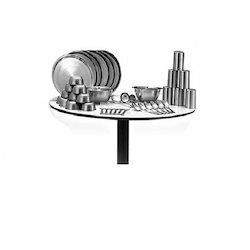 There is option of customization also.we can customize it according to the requirement of client so that he don't need to go for another set to serve more. Things can be added as per requirement. It comes in the amazing ice touch look that is different from normal and silver touch. It serves the need of complete dinning. This is the best and the most superior we offer for the buyers with excellent mirror polish and finish. It contains all the things that is require. This is the most elegant and exclusive we offer. 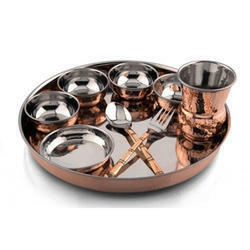 There is option of customization also.we can customize it according to the requirement of client so that he don't need to go for another set to serve more. 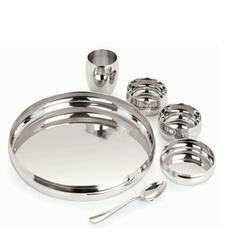 This is the best and the most superior we offer for the buyers with excellent mirror polish and finish. It contains all the things that is require. This is the most elegant and exclusive we offer. 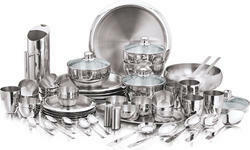 We are involved in manufacturing,exporting and supplying a wide range of Deluxe Dinner Set.They are made of stainless steel and are available in various designs and shapes and also colours, these products are highly acknowledged in the market.